Master Teresa has decades of experience training instructors and healers. She is a dynamic and compassionate life teacher, speaker, coach, mentor, healer and 2 time #1 bestselling author who is often referred by her followers as the “real deal” with 23 years of experience. She has a unique ability to see, read, and scan your body’s energy. She translates the messages into insightful and fascinating information. She is the founder of her Pureland Qi Gong® system and sole successor to Grandmaster Weizhao Wu’s Hunyuan Qi Gong system. She wishes to help the world be a more peaceful and loving place through the art of Qi Gong. On the personal level, she is a single-mother who has raised beautiful successful children and healed her own body’s health issues, which included weakness from migraines, digestion, allergies to not need to wear eye glasses for reading. Her teaching style is hands-on, gentle and motivational. You will enjoy her fun demonstrations on how to use the Chi in different ways. Grandmaster Wu was an educator who obtained the highest Qi Gong official title in China, as a member of the Chinese Qi Gong Talent Bank and was considered a national treasure. In 1990s, Wu’s Eye Qi Gong helped millions and he led a 4000-person clinical research study repetitive for 3 years with a 90% success rate in maintaining and improving the vision of students. You can learn how to “Fa Chi”. Learning how to send chi to others is exciting, rewarding and gives you a satisfying and fulfilling experience. Through this program, you improve your self-esteem, self-appreciation and self-love as you master your own energy and create a new skill to heal others with Fa Chi. She provides you with different training units in 4 weekends for an extraordinary breakthrough to move you to a higher level of energy. “Fa Chi” is translated as projecting energy or applying qi. The art and method is hands-on. You will enjoy every minute of it. Learn how to build your confidence and attract good people into your life. Anyone who loves energy and mindfulness work and is working towards becoming Fa Qi Practitioner! This weekend is designed for students who want to advance their personal growth. This is a continuation for advancement from Weekend 1 and Weekend 2 students. This weekend is for students who wish to become certified as an Instructor and Practitioner. If you take all four weekends, you can become certified and be listed on Master Teresa’s website with more privileges. Should students cannot pass their test during the program, a second test can be arranged with an extra fee of $100. 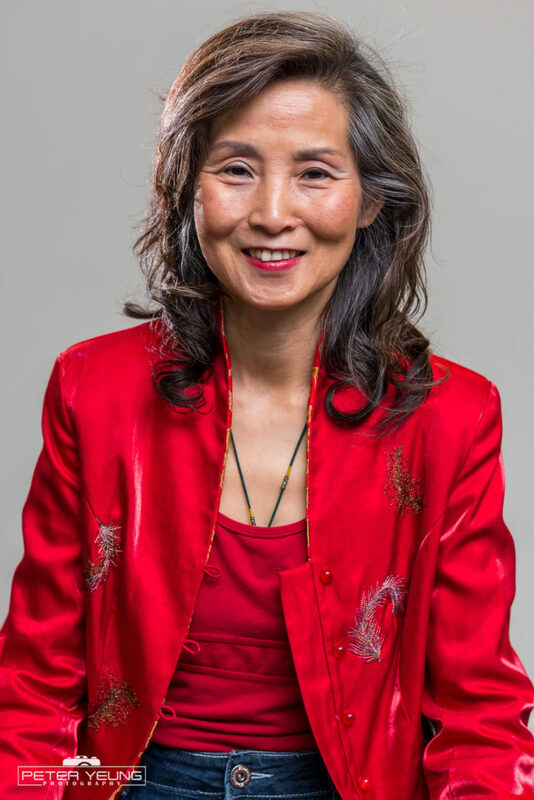 Teresa Yeung is a Generational Master of Chi Master, visionary, medical intuitive, and 2 X #1 international bestselling award winning author. The mission and motivation of Master Teresa is rooted in a traditional Chinese Proverb, “when you give a person a fish, you feed them once, but if you teach them how to fish, you feel them for a lifetime.” She founded the Pureland International Qi Gong to raise consciousness, and develop knowledge and teachings to accelerate integrative healings of physical, emotional, psychological and spiritual state. She is the sole successor of Grandmaster Weizhao Wu’s lineage. In 1995 Wu obtained the highest official title in China and further appointed as Liasion Man to select Qi Gong talent for China. He was a National Treasure of China and creator of the highly successful Wu’s Eye Qi Gong helped millions of people. “We all know Master Teresa as a true master of Qigong, but in reality, she is something much more significant than that. She is a true master and teacher of life. The skills she harnesses and passes on to others can make the difference between living a life of mediocrity or one of joy.